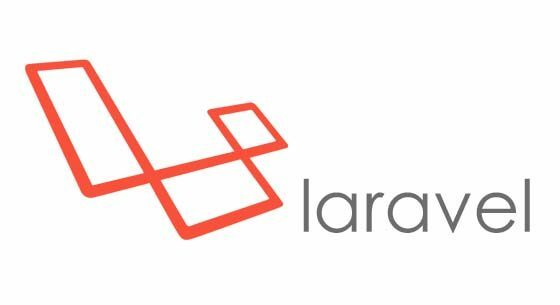 Laravel is a PHP 5.3 framework which can be described as a Framework for web artisans. Laravel is considered to be simple, elegant and also well documented. The functionalities of Laravel are easy to understand and implement. Most of the functions of Laravel work seamlessly with a very little configuration relying on industry-standard conventions to lessen code-bloat. The documentation of Laravel is complete and is always up-to-date. To ensure that the people who are learning the framework always have the latest documentation the creator of the framework update the documentation before releasing a new version. Laravel boasts a multitude of functions that differentiates it from the rest of the pack as with any PHP framework. The Laravel framework contains inbuilt lightweight templates which help you to create different layouts using dynamic content seeding which is amazing. This makes the frameworks a highly acknowledged framework. It also contains multiple widgets incorporating CSS and JS code with solid structures. The various templates of laravel frameworks are innovatively designed to create a simple layout with distinctive sections. The Laravel performs the majority of those tedious and repetitive programming tasks that many developers avoid performing manually by offering a built-in tool for command line known as Artisan. These kinds of artisans can also be utilized to create the database structure, a skeleton code, and also build their migration which becomes quite easy-to-manage the database system. To generate the basic MVC files through the command-line right away and manage those assets and their respective configurations it is interfaced. It even helps developers to create their own commands so that they can do convenient things with it. The clarity of logic and presentation is ensured by the MVC pattern of Laravel. The MVC supports the Laravel in improving the performance, allowing better documentation, and has multiple built-in functions. The Eloquent ORM that includes a simple PHP Active Record implementation is offered by the Laravel framework. It is helpful for the developers to issue database queries with PHP syntax rather than writing SQL code. Each and every table in the database will possess a corresponding Model through which the developer interacts with said table. An ORM is considered to be relatively faster than all other PHP frameworks. Laravel helps without re-creating every time developers make a change. The migration of the system helps to expand the structure of the database of the web application.The risk of losing data is very less. It helps to do this by using PHP code instead of SQL by not only offering the facility to change the database structure. Due to its Object Oriented libraries as well as many other pre-installed libraries Laravel is popular. Authentication library is one of the pre-installed libraries which not found in any other PHP frameworks which is easy-to-implement and has many latest features. They are Bcrypt hashing, Cross-site Request Forgery( CSRF) protection, and encryption. The Laravel is liked by many web developers due to the way it facilitates unit testing. It is also capable of running many tests just to ensure that new changes done by programmers do not unexpectedly break anything in the web application. It is considered to have stable releases in the industry because it makes it easy to write unit-tests for its own code. The robust feature-set and ease-of-use feature of the Laravel framework make it stand out as a monarch framework. It helps in delivering A-one web applications for the business. It helps the developers who believe that building a web app or websites is a creative, engaging and thrilling experience. The larval framework will be a better choice as it is considered as the robust and out-of-the-box web application.